These are the clowns of the rent a beast collection. They originate from the eucalyptus forests of Australia. 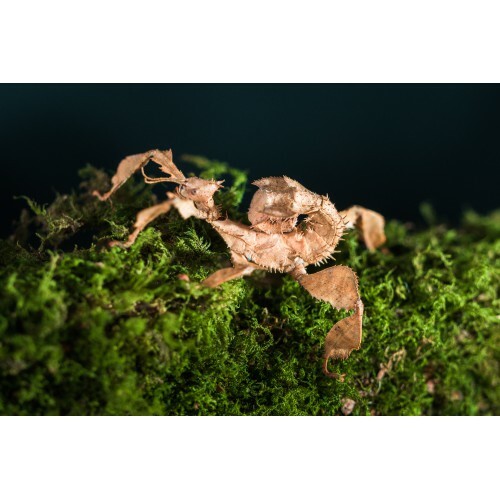 Their camouflage is amazing, they are also known as the spinney leaf insects and you can see why. They blend in well to their environment. The even do a funny wobbely walk to pretend that they are leaves blowing in the wind. Their sight is poor and they rely more on their sense of smell to find food and mates. When you handle these guys you will see that they feel their way around with their front legs, it looks really funny as if they are waving at you. They are feeling for other leaves to grab onto.